Now home to Jack Rabbits and birds, this ranch house sits abandoned in the dry, dusty high desert of the Plains of San Agustin in New Mexico. The plains were home to an ancient lake bed that dried up at the end of the last ice age but are now more widely known as the home of the VLA observatory. 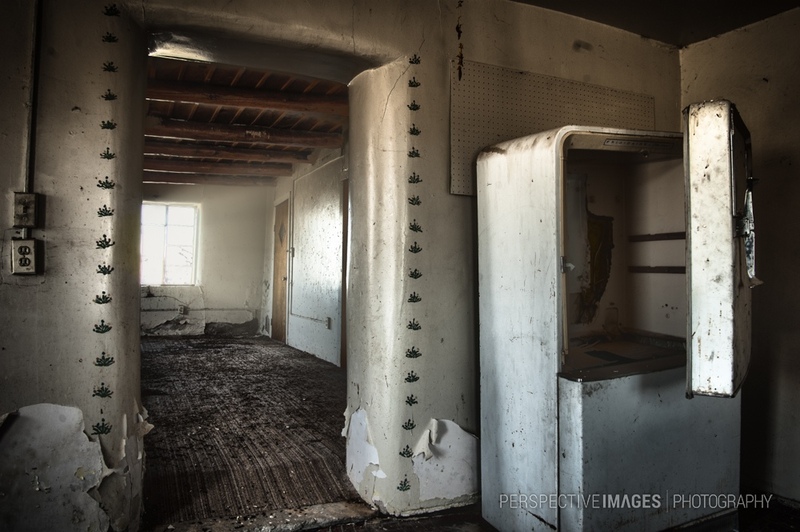 i think that’s the refrigerator that Harrison Ford climbed into in “Crystal Skull” ….